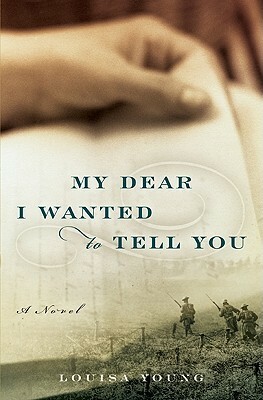 Several months ago, I read My Dear I Wanted to Tell You by Louisa Young. It's a book that compares two realities of the Great War: the men who go fight and the women they leave behind. Though I was not wholly impressed by My Dear I Wanted to Tell You, I did very much appreciate Young's focus on the civilian struggles of the war through the eyes of the nurses. Young's uncompromisingly grim descriptions of the trenches themselves were also noteworthy, creating a vivid and powerful image of the times. To a certain degree, Christian Signol's Un matin sur la Terre (which I read in a Hebrew translation and does not appear to be available in English) follows this same idea. Like Young's novel, Un matin sur la Terre is as much about the women who do not go to war as it is about the three men in the trenches. Like Young's novel, Signol tackles larger issues of class differences. Like Young's novel, Un matin sur la Terre travels back-and-forth between the men and women. The similarities end there. My Dear I Wanted to Tell You is a romance in many regards of the word: it delves heavily into the romantic relationships between the couples, it tells a grand sweeping story, and its style is somewhat richer and heavier. 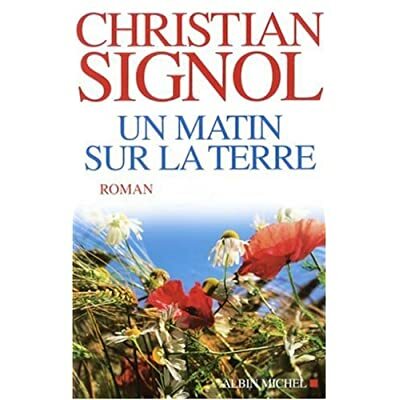 Despite more explicitly explaining the love stories behind its couples, Un matin sur la Terre is not, on the other hand, a particularly romantic book. It's quieter, slower, and more subtly suspenseful. Young tells her story linearly; Signol opts for a reminiscing style that often loops around itself, as husband and wife remember the same event from a slightly different angle. The biggest distinctions between the books, however, lie in the similarities. Truth is, I enjoyed Un matin sur la Terre a great deal more than My Dear I Wanted to Tell You partly because of its smaller scale and significantly fuller character development. My Dear I Wanted to Tell You felt awkwardly characterized and even more clumsily romanticized; the couples were neither well-developed, nor justified in their so-called love. In Un matin sur la Terre, the focus on the couples' love felt a great deal more 1915-style: indeed, one of the aspects I liked least about the book was the subtle sexism. The men seek to protect the women, the women seek protection. Though each wife is as developed a character as her husband (and in some cases, more), certain old-fashioned thoughts filtered down, giving the book a more authentic, but also ostensibly sexist feel. The difference in the focus on class differences is again stark. My Dear I Wanted to Tell You bases much of its premise on a cross-class romance and the ramifications of it. Signol, meanwhile, presents three couples who each reside in three different aspects of French society in the early 20th century. One couple comes from the working class, another comes from peasantry and both have risen to become teachers, and the third belongs to the wealthier class. In presenting three stories side-by-side, Signol can provide a full and honest image of French society, without attempting to falsely modernize it (as was the feeling I got from My Dear I Wanted to Tell You). I don't deny that both books have their strong points. My Dear I Wanted to Tell You is brilliant when describing the trenches and the post-war treatment of wounded, even if it fails somewhat in other regards. Un matin sur la Terre is old-fashioned in style and taste, meanwhile, but does a much better job of creating characters. Both novels end semi-predictably, with Young taking an optimistic view and Signol pulling out the anticipated twist the book's tension consistently asked for (it's an abrupt ending, but truthfully it could end no other way). Though I am less inclined to recommend My Dear I Wanted to Tell You and have some practical difficulty recommending the not-yet-translated-into-English Un matin sur la Terre, together these two books paint an interesting portrait of France and England during the Great War. Anyone seeking a comparative case study for World War I need look no further.